Certification - North Pacific Seafoods, Inc. The bounty of Alaska's seafood resource is known the world over. To ensure the continued health of these important fisheries, a comprehensive management system for all stocks has been established. The State's commitment to responsible fisheries management is clear: Alaska is the only state in the nation whose Constitution mandates that all fish be utilized, developed, and maintained on a sustainable basis. 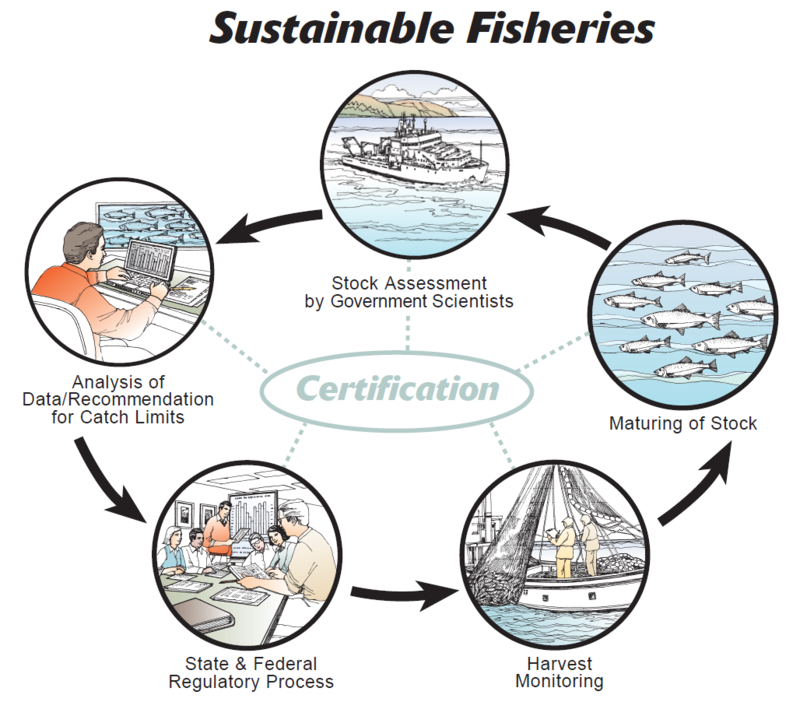 To ensure the sustainability of the fisheries in Alaska, federal, state, and regional fisheries managers control and monitor every aspect of the fisheries. Each year, they assess the health of the stocks, then analyze this data to determine the acceptable level of harvest. These recommendations are then given to state and federal fisheries regulators who draft regulations regarding harvest levels, gear restrictions and the number of fishermen in any particular fishery. The regulatory process is public, with opportunities for public comment. During the fishing season, federal and state scientists also monitor the harvest to ensure the appropriate numbers of fish are caught. This science-based management system ensures that the stocks will mature and that Alaska's abundant fisheries will be strong for years to come.